The 66ers have fallen completely out of the playoff race with one week to play, but they are winning some individual honors as the regular season enters its final week. 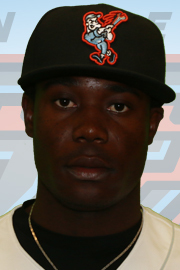 On Monday, Victor Alcantara was named California League Pitcher of the Week. In his win on Friday at Stockton, Alcantara tossed eight innings, allowing just three hits, one unearned run while walking one and striking out eight. Was this performance a surprise? Based on recent results, yes. In his previous six starts, Alcantara he was 1-5 with an ERA of 9.09. But on Friday, his performance lowered his season ERA from 6.15 to 5.77 and improving his record to 7-12. This entry was posted in Inland Empire 66ers and tagged 66ers, California League, Victor Alcantara by Pete Marshall. Bookmark the permalink.